The Outer Linebrook neighborhood is a former parish of the town of Ipswich. The Allen Perley house at 437 Linebrook Rd. was constructed in 1784 by John Perley, although the oldest part of the structure is said to have been moved from Rowley. Perley and his son Silas expanded the house to its current configuration. In early 2018 the new owners began an ambitious plan to renovate the interior and move in by April. 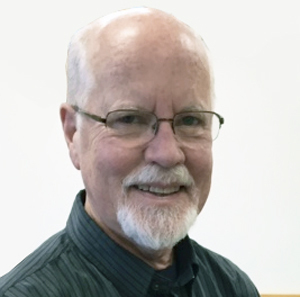 I was hired as the carpenter, primarily for the kitchen, the entrance room and a room with a concrete floor that connected the two. 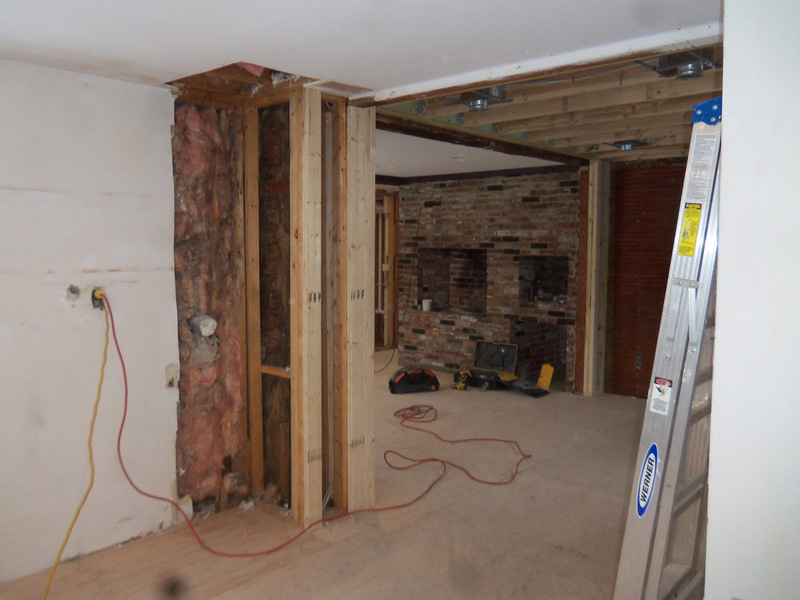 I was assisted with framing, drywall and cabinet installation by my friend Tim Gillette. 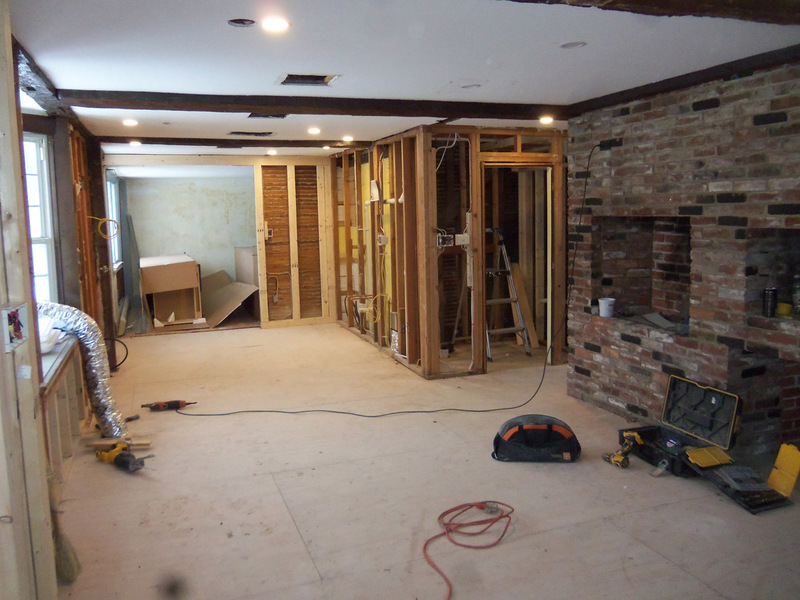 Also on the job were Donald Galicki Electrical Company, Jay from Russell Plumbing, Craig Moore of Rockport refinishing and repairing plaster, floor sanders, a tile crew, and Horatio and his crew from Sullivan painting. 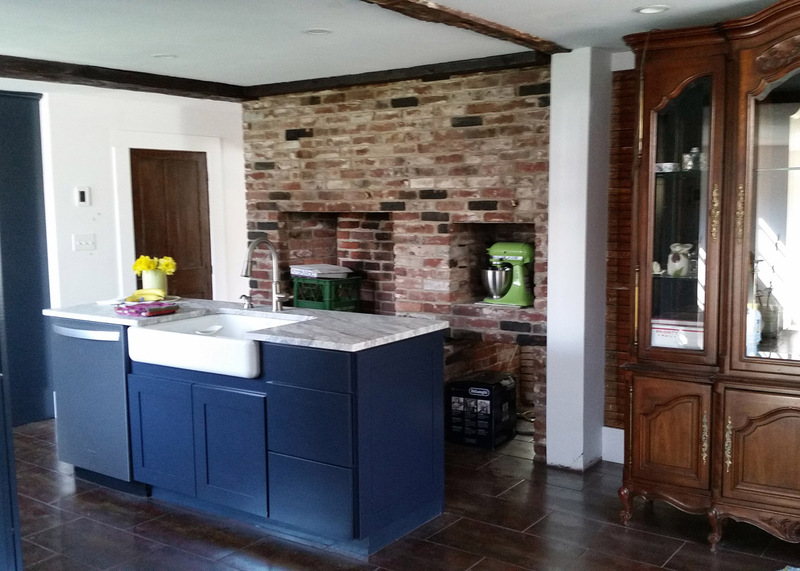 The project became a lot more than”freshening up” as we brought the house up to code, removed walls to open up the house, and replaced outdated features. 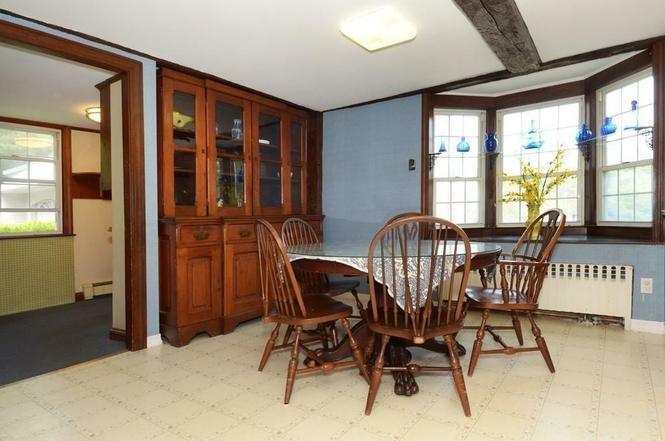 The kitchen at 437 Linebrook Road when the new owners purchased it. The kitchen was quite dated and needed replacement. Kitchen wall after the owners finished stripping out the old fixtures. The plumbers were the first crew to arrive. Kitchen renovation in progress, view from the far end. 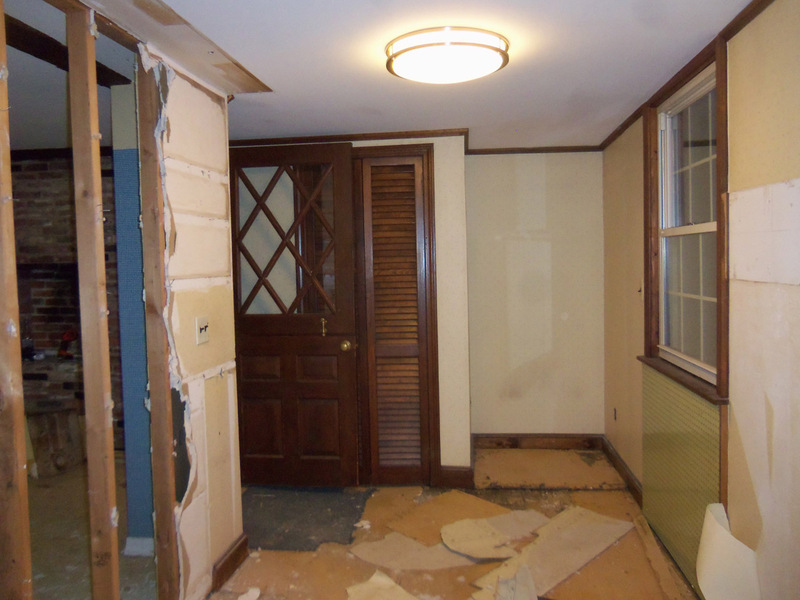 A former porch had been closed in, with a wall separating it from the kitchen. 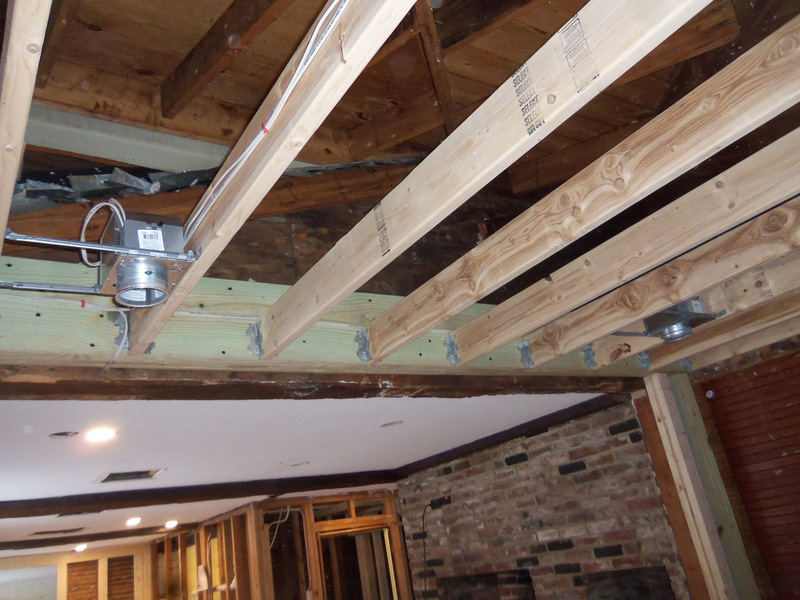 Before removing the partition wall under this ancient beam, we bolted and glued a double 2×12 to the wall sheathing above it to add strength. 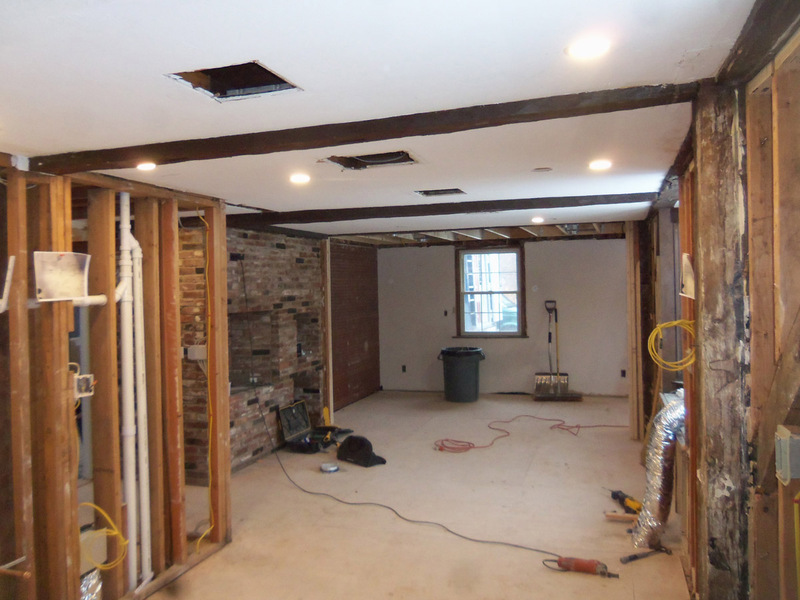 We replaced the patchwork ceiling framing and attached both ends with bracket hangers to give strength to the outer wall. 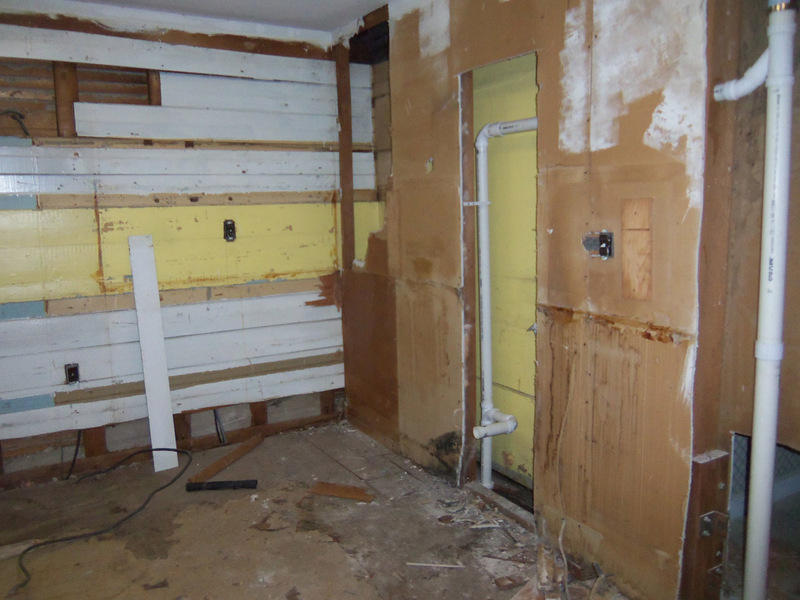 We opened up the entry room to the kitchen, leveled and strengthened the floor by adding a layer of plywood. 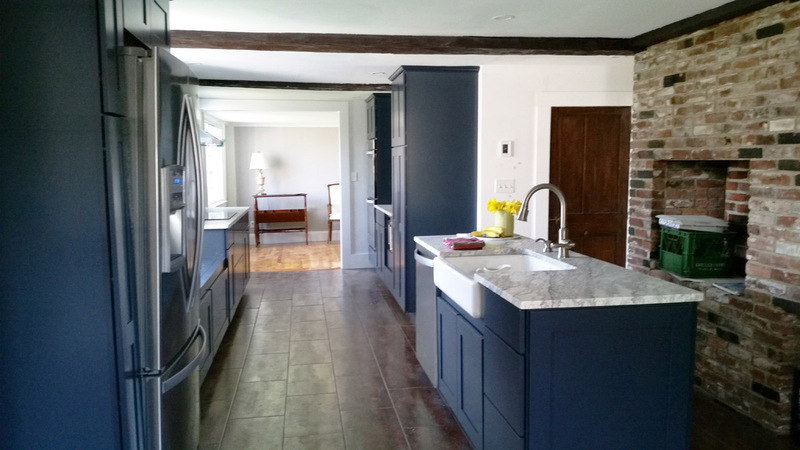 The finished kitchen from the dining room. 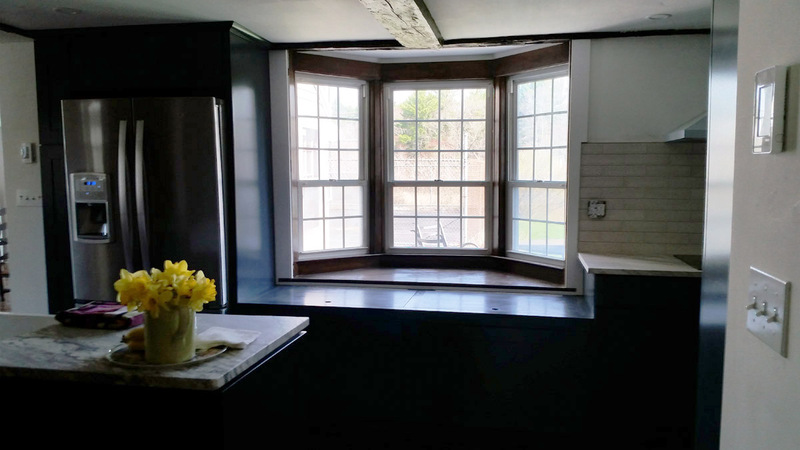 The cabinets were manufactured, but I made the window seat beneath the bay window.